The world’s very first Marlborough Sauvignon Blanc. It offers an exhilarating blend of fresh gooseberry and capsicum flavours, ripe tropical notes and crisp acidity. Brancott Estate’s full-bodied Pinot Noir is characterised by rich berries and plums, subtle oak spice, silky tannins and a long, concentrated finish. This wine offers intense fruit flavours with a rich textural palate. Powerful and flavoursome, it can be cellared for three to five years from vintage. An impressive, full-bodied wine with superb fruit concentration, hints of vanillin spice and a silky mouth-feel. It can be cellared for up to six years. 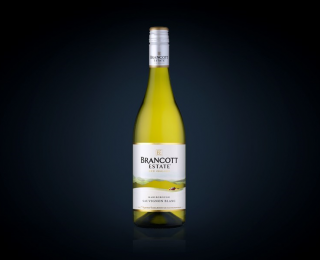 Brancott Estate were the first to plant Sauvignon Blanc and Pinot Noir in Marlborough, the region’s two signature varietals, and continues to source grapes from its three original vineyards, including its namesake Brancott Vineyard. The long history of cultivating the region has given Brancott Estate an indepth knowledge of the terroir and the climate, which they use to produce distinctive wines that balance bright fruit flavours with crisp, fresh acidity. Brancott Estate is particularly committed to protecting the environment. In 1995, the company supported the creation of a movement for sustainable viticulture, known today as Sustainable Winegrowing New Zealand (SWNZ). Originally established in Auckland as Montana, the company’s future was changed forever when it disregarded the popular idea that the South Island was too cold to grow grapes. Purchasing several sheep farms in Marlborough, it was soon discovered that the quaternary valleys provided ideal growing conditions. The sunny days and cool nights proved to be perfect for Sauvignon Blanc creating wines unlike any the world had seen before. 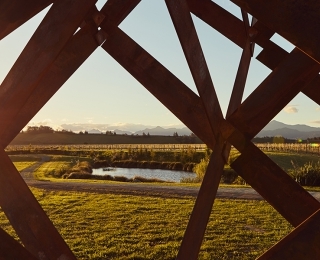 In 1981, Brancott Estate began exporting its Marlborough wines to the world and it didn’t take long for people to recognise just how special these wines were. In 1990, Brancott Estate won the prestigious Marquis de Goulaine at the 21st International Wine & Spirits Competition for 1989 Marlborough Sauvignon Blanc. In 2011, Brancott Estate was adopted globally, replacing Montana in most markets. This coincided with the opening of the Brancott Estate Heritage Centre overlooking the site of the original plantings at Brancott Vineyard.